Scott Adams, the creator of the popular “Dilbert” comic strip and author of a number of books, called out tech giant Google in a recent live broadcast after the search engine appeared to return images of Adams photoshopped into Nazi clothing when searching for his name. Google has previously been accused of altering search results after searches for the term “idiot” returned photos of President Trump. During a hearing before the House Judiciary Committee, Google CEO Sundar Pichai was questioned by Rep. Zoe Lofgren (D-CA) about a specific Google search term. When the term “idiot” is searched on Google, the images section of the website returns pictures of President Trump, Lofgren asked Pichai to explain this, however, the CEO seemed unable to do so. 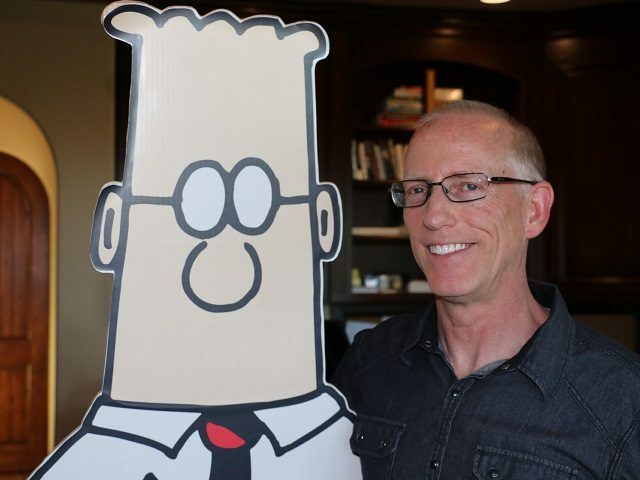 Watch Scott Adams full Periscope broadcast here.